1/7/16: Charlotte loves learning American Sign Language. 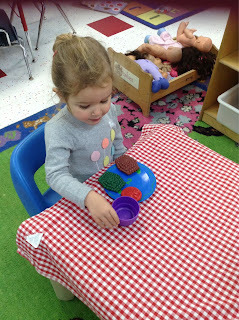 We learned several new animal signs; cow, snake and raccoon. 1/8/16: Charlotte loved finger painting today. She also had so much fun playing with the hula hoops while in the gym. 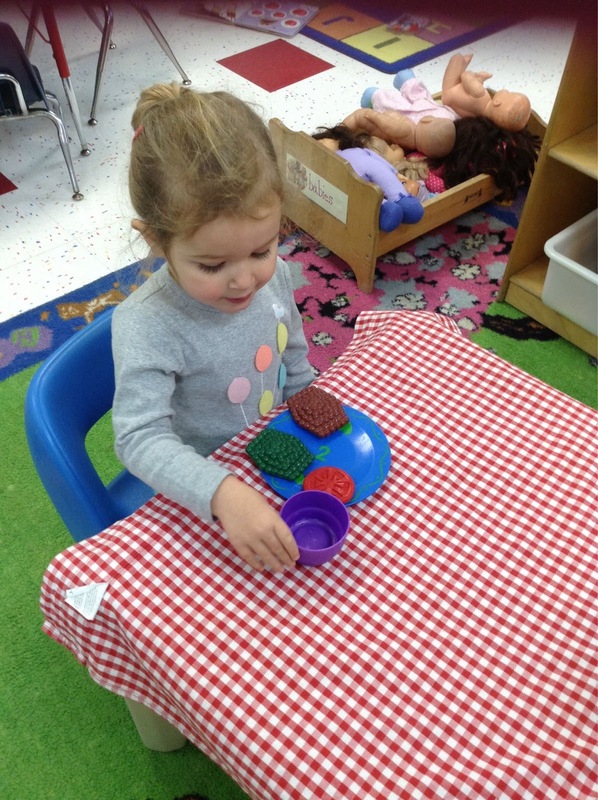 1/11/16: Charlotte had a blast making a cookie today with paper and chocolate bits. Yum! Charlotte even snuck and ate a few chocolate chips when she thought I wasn't looking. 1/12/16: Today we talked about the beautiful snow outside, and also reviewed the sign for snow in American Sign Language. 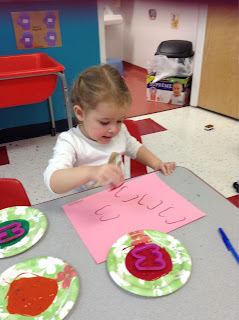 Charlotte also enjoyed painting with the alphabet cookie cutters. 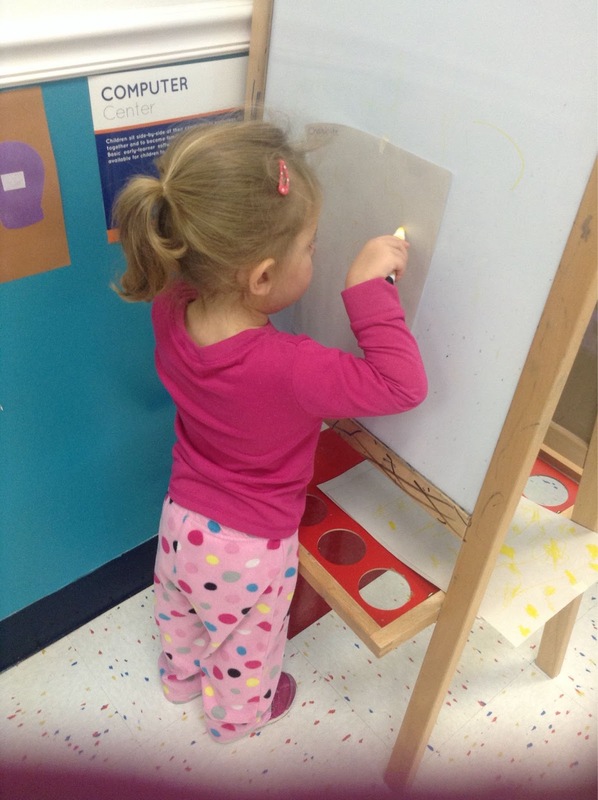 1/15/16: Charlotte loved coloring today. 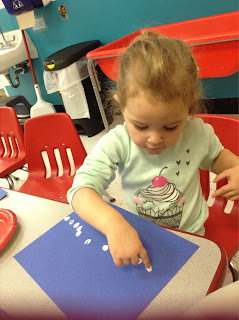 She also had fun dancing with her classmates. 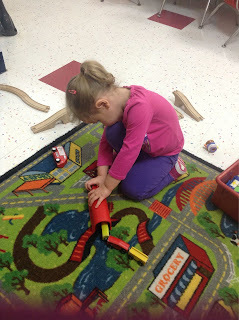 1/19/16: Charlotte had so much playing with the trains today. She was very proud of the tract she made. Great job! 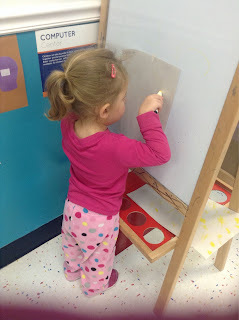 1/21/16: Charlotte loved creating at the Art Easel today. 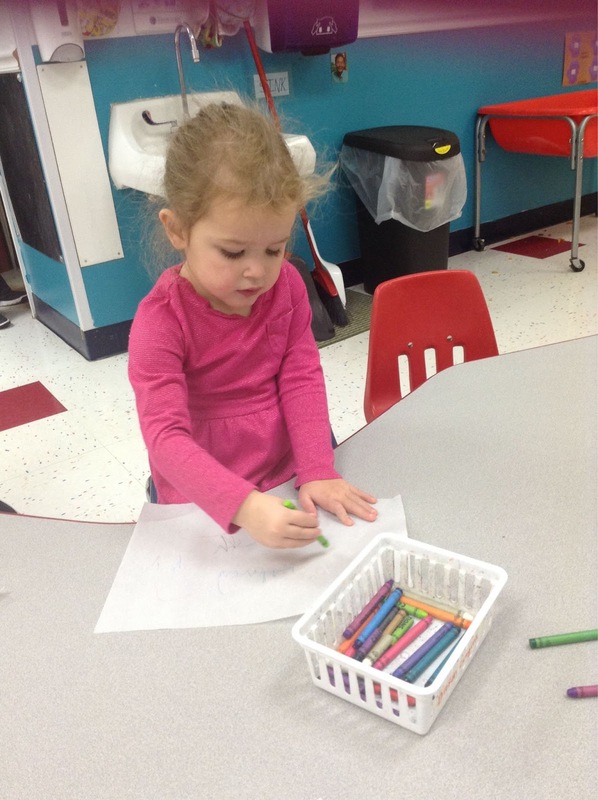 She colored a very beautiful picture. Great job! 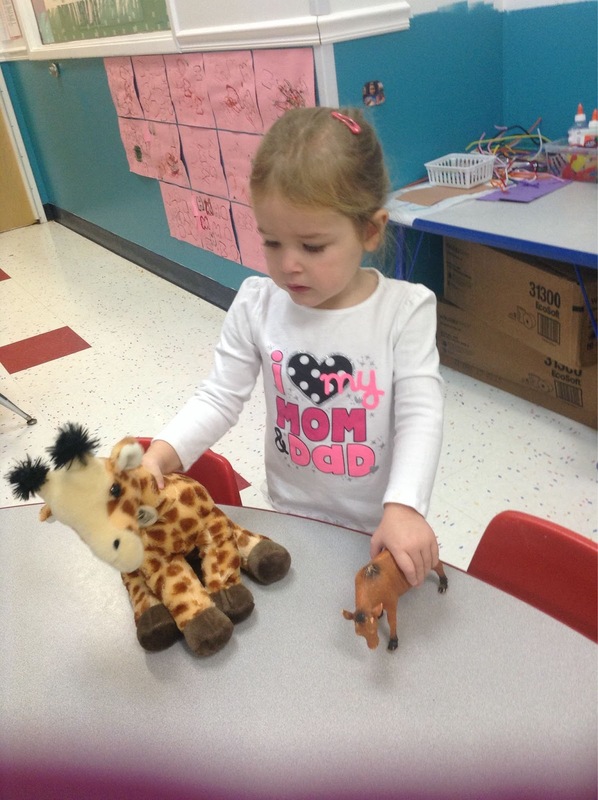 1/22/16: Charlotte had a so much fun playing with the farm animals. They would fall off the cliff (table), and her giraffe would come to the rescue! 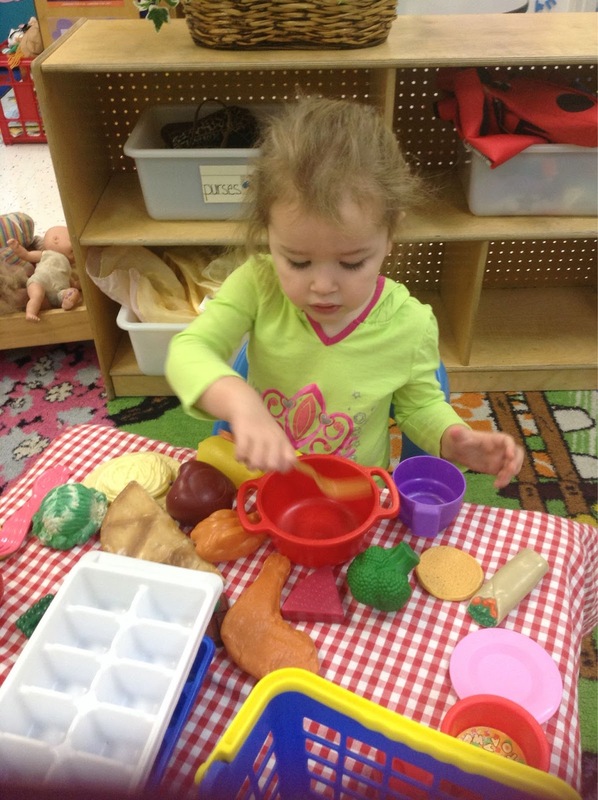 1/26/16: Charlotte had a blast in the Kitchen Center. She loved all the food she got to cook. Too cute! 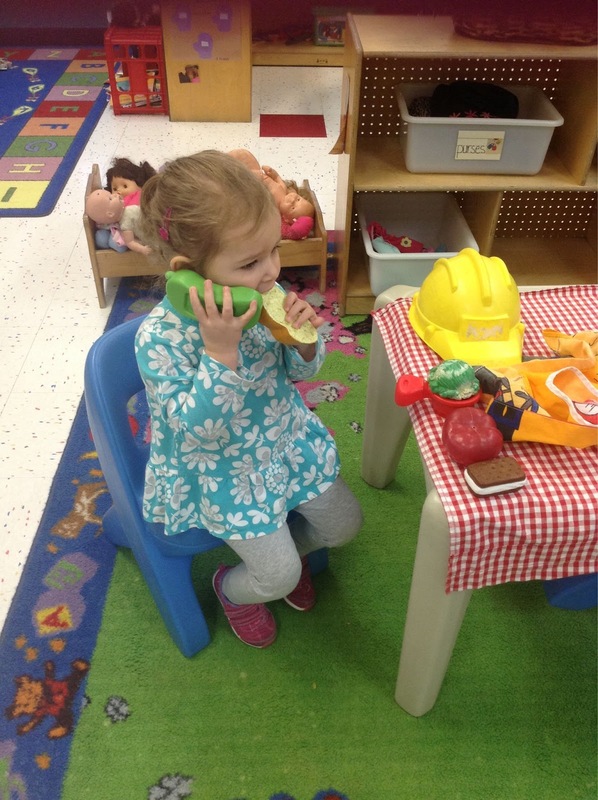 1/27/16: Charlotte is great at multi tasking. We caught her with a mouth full of food While she made a phone call. She is a hoot!